Please see also the additional special pages linked on the right side of this page for Travel advice, Visas, Post-conference tour, Eating out, Cultural tips and customs. The Registration Desk will be open at the following times and location for all delegates. Local residents of Ghana may also visit to Desk for paying for registration onsite. 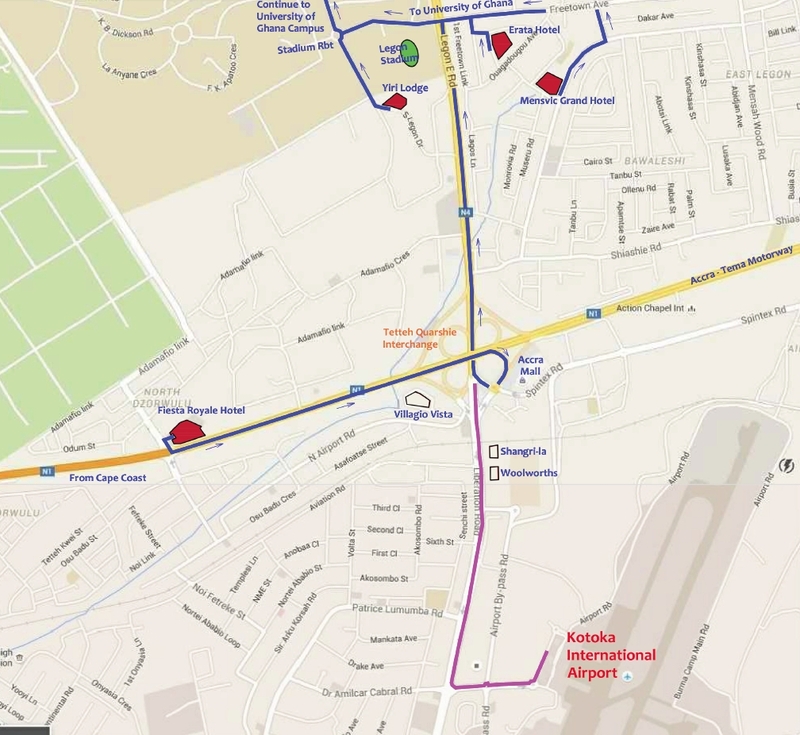 Please dowload our list of recommended hotels that are close to the conference venue. English is the lingua franca and you will find that most people speak it. Four reliable telecommunications networks are available in Ghana. These are MTN, AirelTigo, Vodafone and Glo. Ghana’s country code is +233. You may want get a local sim card for your cell phone when you arrive for very little (GHS5 or less). Your handset must be decoded for use internationally to enable you use the local sim card. Recharge cards sell between GHS1 and GHS20. Sim and rechargeable cards are easily available. They can be purchased on arrival at the airport. Your hotel/guest house will also know where to get the cards, or may even have them for sale at the hotel desk. There will be a free wireless Internet connectivity at the Conference venue. The recommended hotels have internet facility. Outside of conference hours, it is generally possible to use an Internet cafe on the University of Ghana campus or in the communities around the hotels. Ghana time is GMT (UTC). Ghana’s low latitude and proximity to the equator gives it a typically tropical climate. Temperatures approach or exceed 30 degrees (80 Fahrenheit) most days of the year, with virtually no seasonal variation. The month of August is classified as the “coldest” month. Accra tends to receive less rain than other areas. The average temperature in Accra in October is hot; at 25.5 °C (77.9 °F). Afternoons can be very hot with average high temperatures reaching 29 °C (84.2 °F). Overnight temperatures are generally really warm with an average low of 22 °C (71.6 °F). It may turn cooler occasionally at night. It is good to have a jacket or a shawl just in case. For the occasional shower, especially if you intend to do some walking, an umbrella would be useful. If you don't bring one and later feel you need it, one can readily be bought for a relatively low price. Hotel rooms are air-conditioned. Taxis are not. Voltage in Ghana is 220 - 240 Volts at 50 Hertz (cycles). 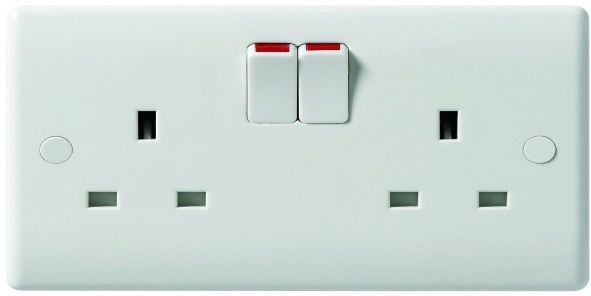 The plug has three rectangular prongs that form a triangle. If you travel to Ghana with a device that does not accept 220-240 Volts at 50 Hertz, you will need a voltage converter. Stabilizers are required for sensitive devices. It is recommended that you carry a three-pin square adapter. Adapters can also be purchased in several malls in Accra. 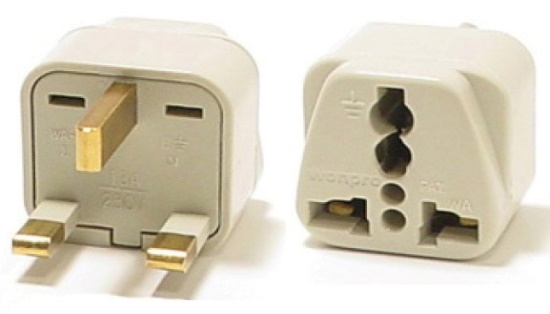 Below are photo samples of plug-ends and sockets in Ghana. Take the usual precautions when travelling. Ghana is in the tropics, so there is risk of catching malaria pretty much everywhere you travel in Ghana especially in the nights. Therefore, make sure your doctor or travel clinic know you are travelling Ghana (don’t just say Africa) so that the right anti-malarial medication can be prescribed for you. Additionally, make sure you carry effective mosquito repellents with you. Ghana requires all visitors to have a valid certificate of immunisation against Yellow Fever (This is the most essential, otherwise you will be refused entry). Participants are advised to obtain supplementary medical/travel insurance. However, excellent public and private medical facilities in Ghana provide for essential medical needs. First aid services will be available at the conference venue and in most of the hotels. It is advisable that conference participants avoid eating food purchased from street vendors; if you must, ensure the food is warm. Secondly do not drink tap water, nor water from sachets. Drink bottled water. B) Nyaho Medical Centre, located in the Airport Residential Area, also about 5 miles from Legon. Also recommended is a public, military hospital called ‘37’, located in Accra about 8 miles from University of Ghana, Legon. The official currency is the Ghana Cedi (GHS) (Cedi pronounced See Dee). The cedi is broken down into 100 pesewas. It is recommended that you change currency at an established Foreign Exchange Bureau. Foreign Exchange Bureaus are located at the various points throughout the city of Accra. There is one such bureau at the Accra Mall about 12 minutes drive from the University of Ghana. You may also exchange money at any of the four banks on the University of Ghana campus or at the GCB Bank just outside the campus Main Gate. Note that banks are closed on Saturdays and Sundays; Exchange Bureaus are opened on Saturdays. Kindly note that it is advisable to bring US Dollars, British Pounds or Euro. You may find it difficult if not impossible to change other currencies. Note that Credit Cards are not widely used in Ghana, although some of the recommended conference hotels accept credit card payments with a surcharge. Plan on bringing much of your budget in the form of cash particularly if you plan to spend time outside the capital city, Accra. Traveler’s cheques are not welcome in many places of business. You can however use your Visa, Master Card and some of the major cards at ATMs at many of the banks and get Cedis. The Accra Shopping Mall (3 miles from the University of Ghana campus) near the Tetteh Quarshie interchange is the easiest and most accessible shopping venue. You can get local souvenirs and clothing at “Oxford Street” at Osu (Woodin, a specialty African print fabric shop). “Oxford Street” is noted for grocery shops, fast-food joints and brisk night life. There are also a number of shops around the East Legon area. For those who have the time, a visit to the Makola market (a bustle-hustle must-see) in the central business district would be of interest. This is the best place to get "Java print" fabric. The Arts Centre nearby (a conglomerate of shops – local clothing, jewelry, arts & crafts) is also a popular stop for souvenirs. Friendly bargaining is a must! Tipping is not obligatory in Ghana. If someone is nice to you, maybe a driver, or a waiter in a restaurant, you may want to give a tip. These days a minimum of GHS5.00 (about Eur 1.00) will be adequate as a tip. Ghanaians pride themselves on being some of the friendliest people in the world, and the level of crime against visitors/tourists is remarkably low. However, like any other country or metropolis, normal precautions are still advisable. The University of Ghana has a 24-hour Campus Security service and there is a Police Station right across the main road outside the main university campus. Have your passport and other travel documents and extra money safely stored away in a money belt or pocket inside your clothes. If possible convert enough currency to Ghana Cedis for immediate needs in advance so that you do not worry about that on arrival. There are several forex bureaus at the airport. Petty crime is common in Accra and foreigners can be key targets. Stay alert and watch out for pick pockets and fraudsters especially around stations, on public transport and around tourist sites. Avoid carrying around a lot of cash or other valuables and hang on to your belongings when walking around. We suggest you make photocopies of your passport and other documents to enable easy replacement in case they get lost or stolen. Do not carry originals unless you really need them. Please note that the Hotels on and around the University of Ghana campus have safes for your travel documents. Institute of African Studies Archives and Museum. Great Hall and its surroundings - there is a beautiful view of Accra at night. Chez Afrique is a restaurant at East Legon with live band which plays popular music on Friday nights and great food through the week. Entry is free. No cover charge. Jamrock is a Jamaican restaurant at East Legon. Live Reggae Band on Friday nights. Entry is free. No cover charge. +233 Jazz Bar and Grill, located at 21 Dr. Isert Street, North Ridge. Opens every day but has live music on weekends. There is a cover charge when live music is being offered. Cost depends on the occasion and the type of artiste being offered. Alliance Francaise, a cultural centre with occasional arts programme is located at the Casely Hayford Road off the S Liberation Link. There may be a charge depending on what is being offered. W.E.B. Du Bois Centre for Pan African Culture in Cantonments, Mon-Fri 9:00-4:30 (0302 -776-502) Entry Fee: Non Ghanaians – GHS7.00 (Eur 1.26). Kwame Nkrumah Memorial Mausoleum is located off the John Evans Atta Mills Highway Entry Fee: Non Ghanaians – GHS10.00 (Eur 1.81). George Padmore Library is located on Gamel Abdul Nasser Street. Near Ridge Circle, Mon-Fri, 8:30-5:00; Sat 10:00-4:00 (0302 - 247-768, 228-402). Independence Square, located on 28th February Road. Makola Market, downtown at the City Centre. Beaches, e.g. Labadi Beach, Coco Beach. Aburi Botanical Gardens, a 30-minute taxi drive from the University of Ghana, Legon.